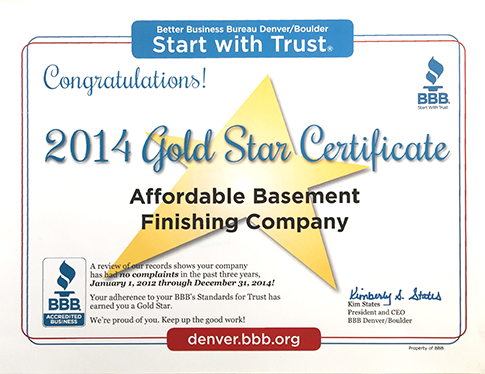 Basement Finishing Ideas On A Budget | Affordable Basement Finishing Co. 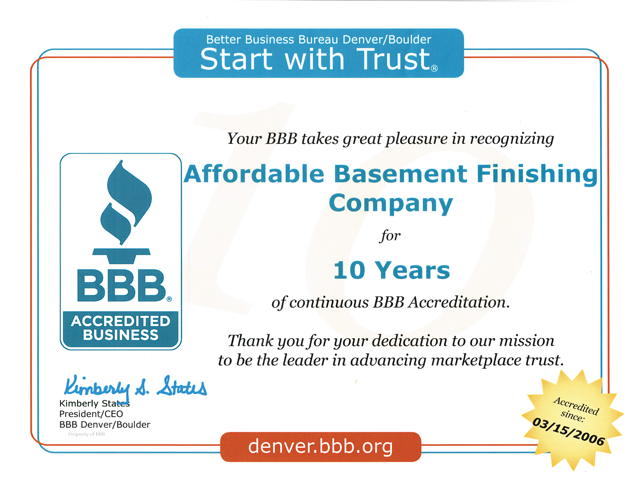 If you are like many homeowners in Denver with an unfinished basement, it is like you have an elephant in the room at all times. Except, the elephant is not in the room. It is in the basement… and it is loud. More annoying is that you might not believe you have the investment money needed to take care of that elephant or, in other words, finish that dang basement. 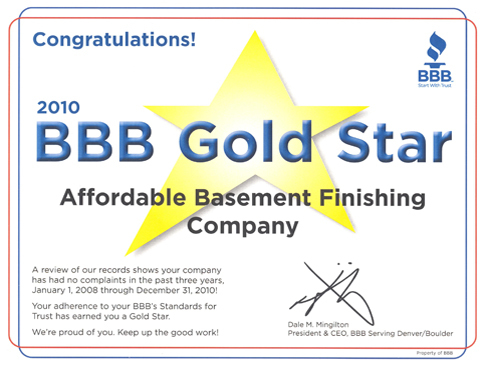 While finishing your basement can be a costly endeavor, we have brought together some basement finishing ideas on a budget so you can begin creating a basement that adds value to your home and life for many years to come. 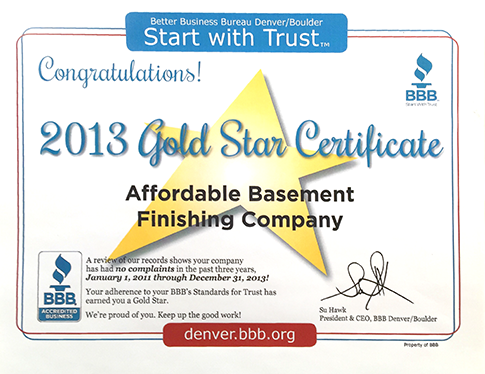 To do this, we will take a look at the individual different aspects of basement finishing. In Denver, we pride ourselves on the beauty of our homes. 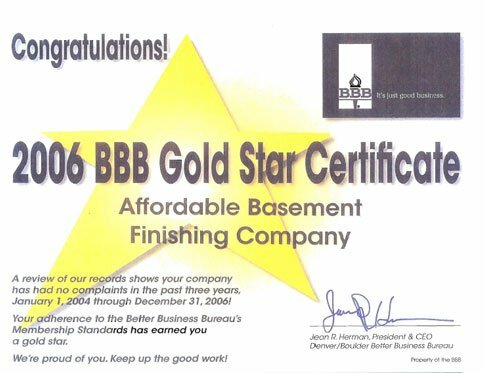 You might think that you absolutely have to perfectly finish your basement ceiling in order for it to look fully finished. However, that might not be the case. The likelihood is that your unfinished basement ceiling is comprised of a series of open rafters with probable electric, plumbing, and heating transportation systems in view. One simple solution is to paint it, all of it, in one single tone. Consider what you are doing with the overall theme of the basement. Are you leaving it with a chic industrial feel? We recommend a dark, but not black, tone such as dark slate or charcoal. This will work especially well with white or warm wood colored walls. Are you looking for a more home-like feel? Especially if you are planning on dry-wall for the walls, going with white paint for the ceiling with a wood or colored tile floor will help turn your unfinished basement into a beautiful second apartment all under the same roof. 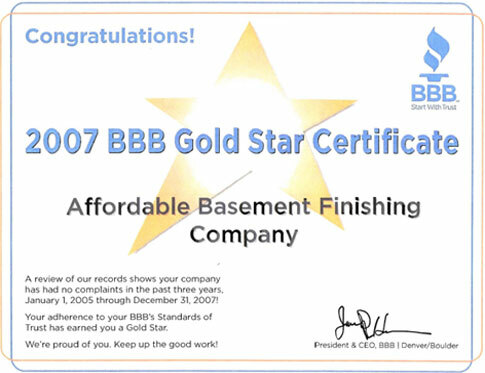 Your basement floor is another important aspect of finishing your basement on a budget. You want it to be able to tie everything together along with the ceiling. 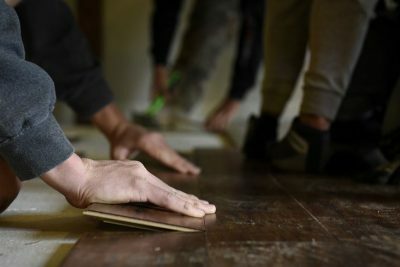 Similar to the ceiling, an easy answer for your floor that should fall within your budget is to manipulate the slate or concrete slabs that are already there! Depending on their condition of the slabs or concrete pour, you might want to take a floor buffer or tough polisher to the slabs in order to get them as smooth as possible before moving forward. If you are able to get them feeling great under the feet and looking nice, you may even choose to stop there. However, you can take it a step further by using an epoxy coating which comes in a variety of colors so you can match that newly painted ceiling. Furthermore, you can go with a clear epoxy coating then follow it with a paint coat in the perfect shade of your choosing. If you go with a paint coat, we recommend going with a semi-gloss or high-gloss finish. 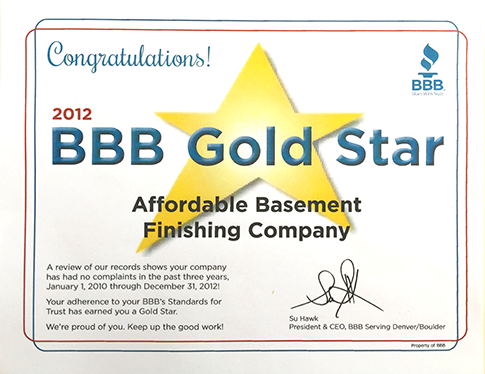 The last big step to finishing your basement on a budget is your walls. At this point, we are going to go ahead and assume that you get the idea about using an epoxy coat or paint coat on unfinished areas. Yes, you can certainly do this with exposed stone walls. 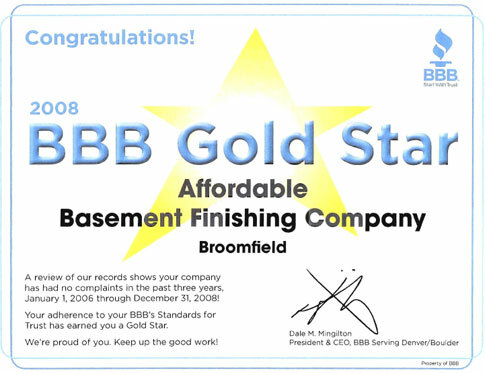 However, we do recommend that you do not simply paint your floor, ceiling, AND walls. This will likely come across as still unfinished. Instead, choose two out of the three and spend a little more to finish the third aspect with actual installed materials. The obvious choice for walls is drywalling and it’s not nearly as expensive to do to walls as your ceiling. 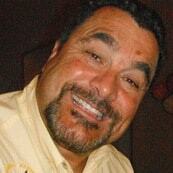 Drywall is also a great deal cheaper than wood or tile flooring. While it is possible to drywall yourself (expert tip: rent a drywall hanger from Home Depot), it can be VERY difficult and one false step could mean wasting an entire panel of drywall. 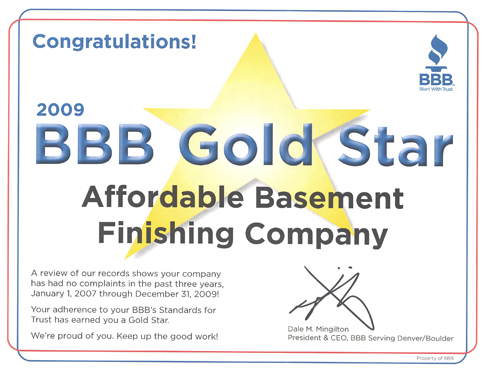 We hope that our basement finishing ideas on a budget have inspired you to finally take care of that elephant in the basement. If you have any questions, feel free to give us a call!